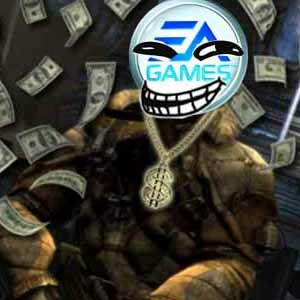 10 video games that tried too hard to make some extra money. You can’t really blame a free to play mobile game like the Dungeon Keeper mobile remake for having microtransactions, but leave it to EA to take it to the next level. 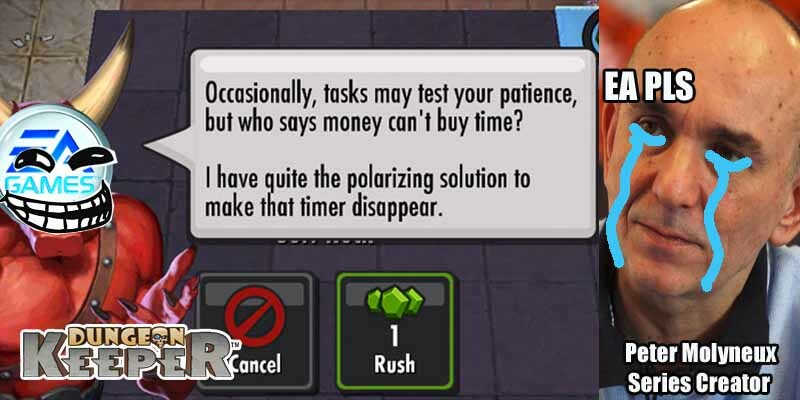 The title was a bit different from other free-to-play games insofar that instead of buying more gold to be more competitive, you had to buy cash shop items to lower the timer that restricted you from expanding your dungeon. Essentially, you were paying to play without gameplay-prohibitive time barriers. This tactic has been used in other mobile apps but none so vile as that of Dungeon Keeper. The reviews around the web reflect the game’s poor handling of its microtransactions. The game was such a cesspool that even the U.K’s advertising regulation body had to step in and say “Enough is enough!” .Even the original creator of the Dungeon Keeper series, Peter Molygneux, was none too impressed with EA’s ad-laden reinterpretation of the classic dungeon expansion simulation.